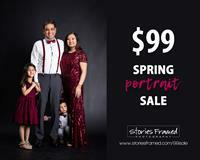 Portrait sessions are on Sale! Through April 30, sessions are $99. Sessions must be held by July 31, 2019.